So much of Washington Wine Country lies on the arid eastern side of the Cascade mountain range. The high desert climate brings with it huge diurnal swings that allow the grapes to achieve ripeness and sugars with the help of the daytime heat, and when that cool desert air kisses the fruit good night the acidity of the fruit is also preserved by that nightly cooling down. Factor in whatever amount of irrigation your vineyard needs and voila, Washington does have the perfect climate for wine growth. In Washington's third designated AVA, The Puget Sound you get a whole other experience. Most of the vineyards are "dry-farmed" that is to say that they don't need or use any irrigation, (this is often the practice in the Willamette Valley given the similar climate). And most of the wines chosen to grown in the Puget Sound are quite different from what you'd find over in Eastern Washington. Strange names like Siegerebbe, Madeline Angelvine and Madeline Sylvaner. Riesling and Pinot Noir are more familiar cool climate success stories. All of these varietals don't need as many heat units to attain ripeness and can thrive in the cool climate. 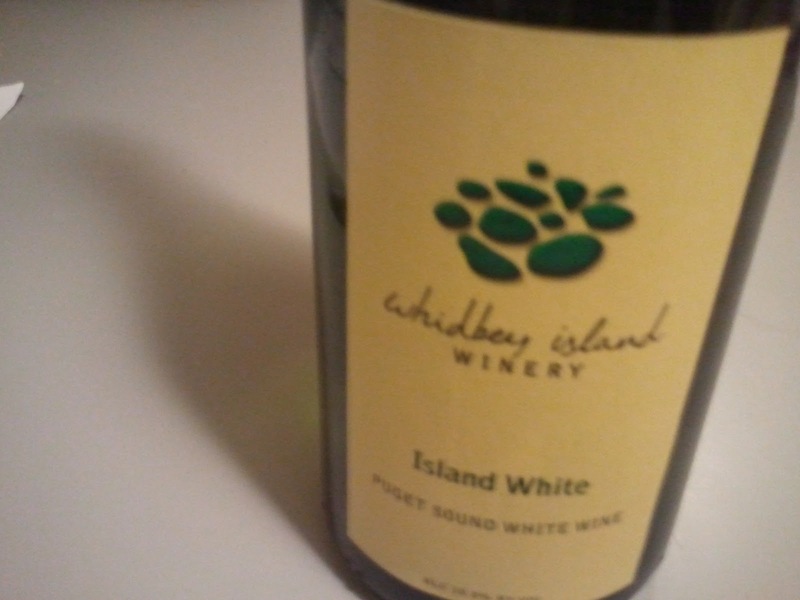 This week's Friday Find is from the wet, west side's Whidbey Island Winery. This is a find in two senses, this $12 wine is a bargain for one and for many of you likely an opportunity to sample varietals you're unfamiliar with. A non-vintage blend, (but the Whidbey folks tell me for all intents and purposes this wine is a 2010) of Madeline Angevine and Madeline Sylvaner. Aromatics of all kinds of honeysuckle and a palate full of cut honeydew and cantaloupe couple with just a touch of sweetness and a nice food friendly acidity make this wine easy like Sunday morning, or a more appropriate time of day. The Whidbey Island wines are available throughout Western Washington, or you could make a day trip over to see them. One of my favorite white wines from Washington. Love what Whidbey Island Winery does on the Puget Sound. A great place to vist, too.